MITLA is supporting an ISACA session entitled: ‘The Digital Economy – The Legal Situation and Needs for Action‘. We are in the age of digitisation which is defining society, industries, business and our daily lives in general. Digitisation is also dictating the manner of conducting business, particularly through the emergence of disruptive technologies. One of the major challenges created by this phenomenon is whether the legal context must adapt to the needs of today’s digital economy. The discussion shall focus on two innovative models of doing business: crypto currencies and crowd funding. In the legal scene, the discussion will attempt to answer the following questions: does Malta regulate crypto currencies and crowd funding? Is ‘heavy’ or any regulation required at all? What are other jurisdictions doing in this respect? What is the way forward? 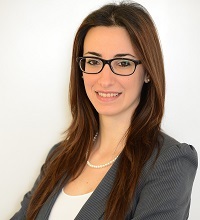 Dr. Sharon Xuereb is an associate at Camilleri Preziosi and heads the Technology, Electronic Communications, and Intellectual Property L aw practice areas within the firm. She graduated as Doctor of Laws at the University of Malta and completed her postgraduate studies at Queen Mary, University of London. Sharon assisted a number of law students at the University of Malta with their doctoral thesis related to ICT Law, and regularly participates in local and international conferences in this area. Sharon acts as external legal counsel for one of the major electronic communications providers in Malta. She has also been selected by a national regulatory authority in the Middle East to provide advice on the drafting and implementation of a privacy and data protection legal framework in the electronic communications sector.